re solve - carbon split kiteboard "two-piece masterpiece" The re solve High-tech split kiteboard represents the most sophisticated split kiteboard on the market, devoid of any compromise. We also wanted it to be ultra-compact and compatible with wake bindings. 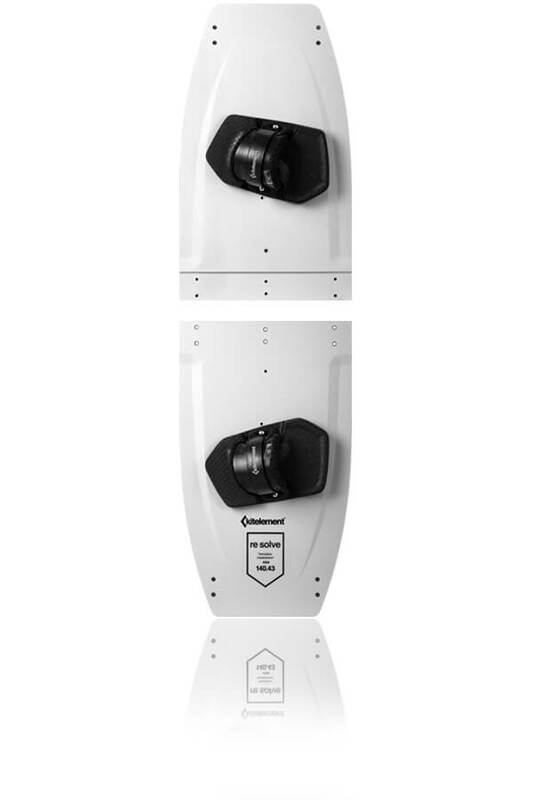 The unique A-Lock System concept marks the milestone in kiteboard technology, endowing the split kiteboards with advantages on all levels. Re solve leaves an aggressive, tougher, yet pretty playful impression and delivers noticeably more radical experience compared to re volt. Enjoy riding in a chop with precision and sharpness at high speed and go into dynamic take-off thank to the specially designed multilayer carbon composite on both sides. Re solve is a radical split kiteboard with ambition. 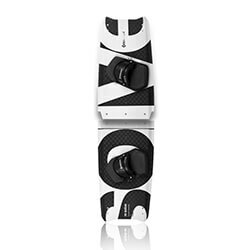 The re solve represents the most sophisticated carbon split kiteboard on the market, devoid of any compromise. We also wanted it to be ultra-compact and compatible with wake bindings. Re solve leaves an aggressive, tougher, yet pretty playful impression and delivers noticeably more radical experience compared to re volt. Enjoy riding in a chop with precision and sharpness at high speed and go into dynamic take-off thank to the specially designed multilayer carbon composite on both sides. Re solve is a radical split kiteboard with ambition. Carbon reinforcement, highly resistant foil coating, polyurethane side walls, adaptable bindings and 3D profiling – these are some of the many benefits of the re solve split kiteboard. Re solve comes in three sizes, is usable in all wind conditions and suitable for all weight categories of kiters.